Many of you see us again and again at the same shows, and may think its a given that we will be there, but that is far from how it works, or how lucky we could be. Every year we create new work that we must photograph and submit with an application and jury fee to be judged once again, and either accepted or rejected from shows………I guess its like your boss reviewing how you are doing on the job, but in our case even if we are doing consistently better work, we may not be able to keep the “job” next year as we have a handful of “bosses”, or jurors, that constantly change, in an effort to keep a show “fresh” with new sets of eyes picking the work. As you can imagine, this has its ups and downs. Are all jurors knowledgeable in all media, and able to objectively select good work? Are they able to determine from an image on a computer screen what the actual piece of glass, wood, jewelry or wearable item is? We have often thought that jurors should walk the show “live” with their ballots to rethink their scores as to what they actually see, and be able to make comments. Inconsistencies could be recorded in a national juror database to make artists more accountable to exhibit work consistent with their images, not camouflaged by fancy photos, and to weed out derivative work. We jury into the Leather Wearable category. We happen to take our own images, because we can. 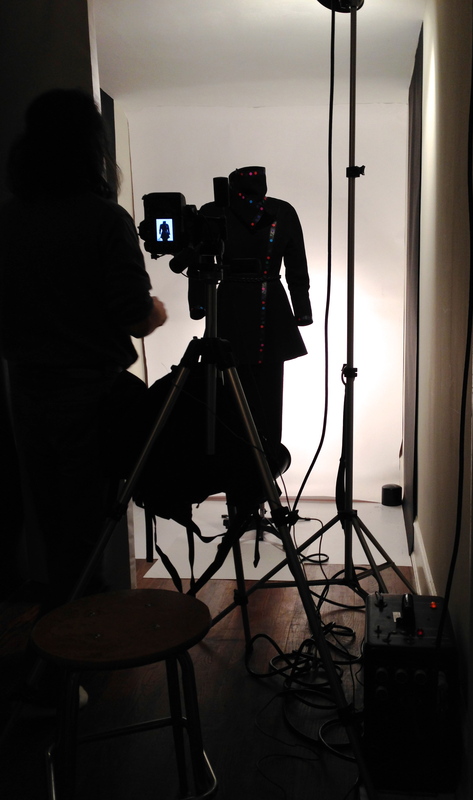 We shoot on a mannequin, rather than a model, to keep the focus on our work, on the details we stitch, which sets us apart from mass produced items. Models are expensive, and really, with a great model, what are the jurors eyes focused on? What do you think? For the jury process, use of models, a distraction? 4 applications done, about 3 more to do! Wish us luck!